"We're proud to continue to be Chamber members. To our mind, it's the most credible and useful business association available to us." "Many, many thank you's to the Kelowna Chamber of Commerce for acknowledging our 15 Year Membership Milestone! 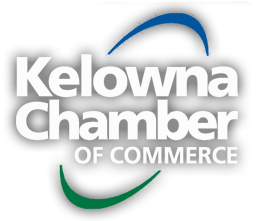 We are proud to be a long time member of the Chamber which provides our thriving business and team with many exceptional networking opportunities throughout the Kelowna business community." "We were in the 2016 Chambers Golf Tournament and wanted to let you know how much fun our team had! It was very well organized and the volunteers as well as the businesses on each tee box were fantastic! We will definitely be registering for next year’s!" We recently asked our members, what do you value most about being a member and why? Paul Maarschalk, Maarschalk Valuations & Planning.